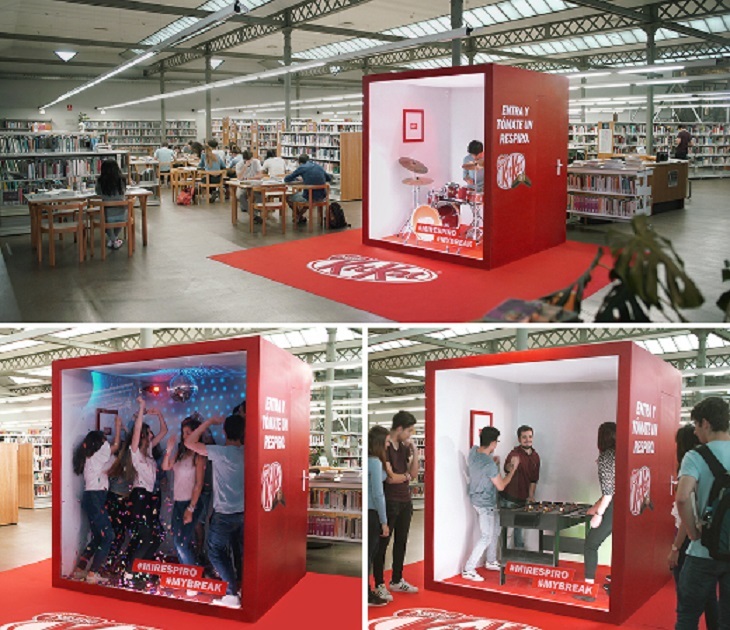 Kit-Kat creates 'the breathing room' to help young people in Spain study for exams. The agency DoubleYou created the "the break room," a soundproof cabin installed inside the library that allows students to blow off steam for a few minutes exceptionally and without disturbing anyone. "We saw an excellent opportunity to not only make tangible the famous 'break' brand but to be useful to our target. Thousands of young people have been they bowed elbows coming weeks and is proven to make small pauses helps perform better in school, "said the agency in a statement.